Bellevue, Washington and Espoo, Finland – T-Mobile (NASDAQ: TMUS) and Nokia today announced a landmark $3.5 billion agreement to accelerate the deployment of a nationwide 5G network. Nokia will provide T-Mobile with its complete end-to-end 5G technology, software and services portfolio, assisting the Un-carrier in its efforts to bring its 5G network to market for customers in the critical first years of the 5G cycle. As part of the agreement, Nokia will help build T-Mobile’s nationwide 5G network with 600 MHz and 28 GHz millimeter wave 5G capabilities compliant with 3GPP 5G New Radio (NR) standards. 5G promises to enable faster speeds, massive connectivity, decade-long battery life for sensors and super-responsive and reliable networks for customers. This will unleash on-demand virtual reality (VR) and augmented reality (AR) experiences, driverless vehicles, medical monitoring, advanced industrial automation services, and so much more – all requiring ubiquitous low latency connectivity. T-Mobile will leverage multiple products across Nokia’s end-to-end 5G technology, software and services portfolio, including commercial AirScale radio platforms and cloud-native core, AirFrame hardware, CloudBand software, SON and 5G Acceleration Services. Using 5G, Nokia and T-Mobile will develop, test and launch the next generation of connectivity services that will cover a wide range of industries, including enterprise, smart cities, utilities, transportation, health, manufacturing, retail, agriculture and government agencies. This entry was posted in 5G, Business News and tagged 5G, Business News, nokia, T-Mobile on August 1, 2018 by Tim Cosgrove. The ceremony took place today at Microlise’s global headquarters in Eastwood, in front of staff and special guests including the Chairman of Nottinghamshire County Council Cllr Sue Saddington, the Mayor of the Borough of Broxtowe Cllr Derek Burnett BEM and Eastwood Cllr Tony Harper. Microlise, one of Europe’s largest telematics and transport management solutions providers, was named a winner in the annual Queen’s Award for Enterprise earlier this year. The awards are the UK’s most prestigious business awards, recognising and celebrating business excellence across the UK. The accolade for International Trade has been awarded to Microlise for its outstanding results in exporting. A major business objective over the last three years for Microlise has been to grow and sell directly to international customers. The company is achieving this via new offices established in France, India and Australia. At the same time, Microlise is also working closely with existing domestic customers to help them to be more successful internationally. This has been achieved in a number of territories, for example delivering transport telematics services to Tesco in Thailand and JCB operating in more than 180 countries worldwide. Microlise designs, develops and creates technology which captures data and creates compelling information about vehicle usage to aid with driver, journey and delivery management. These software and hardware products help fleets to reduce the cost and environmental impact of their fleet operations while helping transport service providers and retailers to deliver an excellent customer experience. An inaugural Queen’s Award winner, Microlise is a pioneer of logistics and telematics technology and has been delivering enterprise grade solutions to the road transport sector since 1999. The company works with two of Europe’s leading truck manufacturers, as well as Tata Motors in India and JCB. Microlise telematics, journey management and proof of delivery products help its customers reduce costs and the environmental impact of their fleet operations. This is achieved by maximising vehicle utilisation, increasing operational efficiency and improving economy and safety; whilst helping to deliver the very best customer experience by providing real-time visibility of the fleet against schedule. An award-winning privately owned business based in Nottingham in the UK, Microlise invests significantly in research and development annually to ensure its solutions continue to be underpinned by market-leading technology. In 2018 Microlise won the Queen’s Award for Enterprise – International Trade. This entry was posted in Business News and tagged Microlise, Queens awrd for enterprise, telematics on July 24, 2018 by Tim Cosgrove. Orange Business Services has signed an agreement for the acquisition of Enovacom, a leading player in e-health on behalf of Orange Healthcare, its health subsidiary. This acquisition project is a key element of Orange Healthcare’s strategy, which aims to be the main partner of the digital transformation of healthcare institutions and players in France and abroad. Enovacom is a French software publisher, established in Marseille in 2002, whose business is dedicated to e-health. A leader in the sector and an expert in interoperability, Enovacom designed a software suite to facilitate the exchange, sharing and security of data between all players in the healthcare system. Its solutions are found in over 1 500 healthcare institutions in France and abroad. In particular, Enovacom software is used to manage and secure hospitals’ electronic exchanges with their various partners. This acquisition is a key step in Orange Healthcare’s growth. Beyond its infrastructure and certified healthcare data hosting solutions, Orange Healthcare wants to develop innovative solutions that will enable healthcare players to communicate with each other and stay in contact with patients throughout their treatment. The digitalisation and streamlining of care is a major issue for the industry and it is for this reason that Orange Business Services chose to invest in Enovacom. Its neutral position enables it to interface with all players on the market. “Incorporating the skills of a healthcare publisher like Enovacom enables us to move up the value chain to offer more comprehensive e-heath solutions to our customers and in particular to hospitals. By acquiring such an innovative and effective player, we are strengthening our growth strategy in the healthcare market, especially under the Territorial Hospital Groups (Groupements Hospitaliers de Territoire) reform, which has made communication between hospitals and equipment interoperability a major issue,” says Thierry Bonhomme, Deputy CEO of the Orange Group, in charge of Orange Business Services. “By joining forces with Orange Healthcare, Enovacom’s customers will benefit from the Orange Group’s wide-ranging skills and capacity to innovate in cloud computing, communication infrastructure, security, connected objects and customer experience. I am overjoyed that through this deal, Enovacom will continue to grow with respect for and in the interest of its employees,” commented Laurent Frigara and Renaud Luparia, Chief Executives of Enovacom. At the end of negotiations and subject to the usual suspensive conditions, Enovacom will become a subsidiary of Orange Business Services and will be operationally attached to Orange Healthcare, under the management of Elie Lobel. Laurent Frigara and Renaud Luparia will continue to play an active role in the development of the company as Deputy Chief Executives of Enovacom. The closing of the operation is expected to be carried out in the coming weeks. This entry was posted in Business News and tagged e-healthcare, Enovacom, Orange Business Services on February 5, 2018 by Tim Cosgrove. Innovative service approach keeping the country’s traffic moving is about to get a whole lot smarter. Congratulations from everyone at Co-Star to Telent for winning the Smart Higway contact. Highways England has awarded a contract worth nearly half a billion pounds to leading UK technology and network services company, telent Technology Services, to help keep England moving into the future. Highways England today announced it has awarded the contract for the operation and management of NRTS (National Roads Telecommunication Services), a critical component of national infrastructure supporting the country’s 4,400 mile strategic road network, to telent Technology Services Ltd (telent). The contract will see telent take over the current NRTS network and provide an end-to-end managed service from the 24-hour network operations centre at Quinton, Birmingham. Field services will transition from the current suppliers to telent, including current staff that will transfer under TUPE to join the telent team. Additionally, telecommunications project works involving changes to and extensions of the network to support the government’s Road Investment Strategy, including telecommunications services supporting the rollout of smart motorways and expressways will transfer to telent. From spring 2018, telent, together with its world class technology partners, will collaborate with Highways England to transform the NRTS network and roll-out innovative, world-class, carrier grade network technology, which will support the provision of new telecommunication services. This will increase safety for road workers and users, help ensure that drivers and their passengers can travel with minimal delays, and facilitate the development of future communications-based services alongside the strategic road network. telent CEO, Mark Plato, said: “This large, 7 year contract is an outstanding accomplishment. With telent’s proven capability designing, delivering and supporting England’s critical national infrastructure, we are uniquely positioned to support Highways England who we have had a relationship with for over 20 years. We are excited to begin work transforming the NRTS network, ensuring we deliver a service that consistently upholds health and safety standards and delivers the required performance. NRTS is used to connect Highways England’s seven regional control centres with over 30,000 roadside devices, including CCTV cameras, message signs, emergency roadside phones and smart motorway equipment. Today NRTS comprises approximately 6,000 miles of fibre and copper networks, 145 transmission stations and almost 5,000 roadside cabinets. Highways England’s requirements for the new contract included effective service continuity and the ability to undertake a transformation programme without impacting on the service, whilst also reducing roadside maintenance activity. The upgraded programme will improve reliability, increase remote services, and support the introduction of new services such as wireless and IP CCTV. This entry was posted in Business News and tagged 5G, Business News, co-star, Highways England, Mark Plato, NRTS, Smart highway, Telent, telent technology services, Tony Malone on December 18, 2017 by Tim Cosgrove. Japan’s largest e-commerce company wants to shake up the country’s wireless market. Rakuten (RKUNF) said in a statement Thursday that it’s working on plans to build its own mobile network, aiming to launch services in 2019 and eventually sign up at least 15 million subscribers. It’s a bold move from a company that started out 20 years ago with just six employees. Rakuten is now a $14 billion internet giant that employs more than 14,000 people. Like its U.S. counterpart, Amazon (AMZN), Rakuten is best known for its internet shopping portals. Run by its billionaire founder, Hiroshi Mikitani, it also has a hand in a variety of other services, including video streaming, messaging apps and payment services. The announcement of its wireless ambitions comes at a time when many carriers around the world are trying to build up their digital content businesses in search of more revenue. Verizon (VZ) recently bought Yahoo, and AT&T (T) is trying to buy Time Warner (TWX), the parent company of CNN. Meanwhile, one of Japan’s top wireless providers, SoftBank (SFTBF), is aggressively investing in internet and technology companies around the world. Rakuten wants to go in the opposite direction. It said moving into the wireless industry will give it “a new engine for further growth” and make it “one of the few companies in the world that can provide a comprehensive package of services” in e-commerce, internet finance, digital content and mobile communications. But Rakuten will face some stiff challenges taking on SoftBank and the two other wireless carriers that dominate the Japanese market, NTT DoCoMo (DCM) and KDDI (KDDIF). Those three companies are all several times the size of Rakuten, which will have to spend heavily to build out a network across Japan. 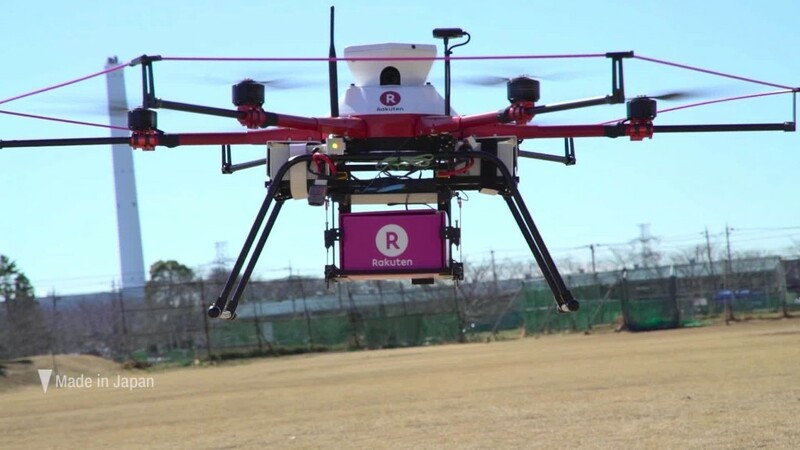 Rakuten on Thursday estimated it would have to borrow as much as 600 billion yen ($5.3 billion) in the coming years to pay for its plans. Investors seemed unsettled by the announcement. Rakuten shares fell nearly 5% in Tokyo on Thursday. The Japanese government and other critics have repeatedly slammed the big three carriers over skyrocketing prices, pressing them to offer cheaper plans. Rakuten thinks it can make a difference if the government decides to give it a chunk of 4G frequencies. “The group will be ideally positioned to provide affordable and easy-to-use mobile communications services, as well as maximize the benefits to consumers,” it said. Rakuten already has some experience in the wireless industry. It launched Rakuten Mobile in 2014, but that involves renting capacity on DoCoMo’s network rather building its own. This entry was posted in Business News and tagged Business News, MNO, Mobile Comms News, Mobile Network Operator, Rakuten on December 15, 2017 by Tim Cosgrove. Microlise has entered the Sunday Times HSBC International Track 200 league table in 47th position, confirming it as among the companies experiencing the fastest growth internationally in the UK. Over the past two years Microlise has experienced 73% annual international sales growth, which now represent more than 10% of the companies total annual sales. The eighth annual Sunday Times HSBC International Track 200 league table ranked Britain’s mid-market private companies with the fastest-growing international sales. Alongside Microlise, there are 20 companies headquartered in the Midlands (compared to 17 last year) including 11 new entrants to the league table. Their international sales have grown by an average of 47% a year over the last two years to a total of £211m, and together they now employ more than 6,200 people. Microlise appears with businesses from around Britain, including jewellery designer Monica Vinader, cycling gear manufacturer Rapha, and sandwich shop chain Pret. Past stars include drinks maker Fever-Tree and travel search engine Skyscanner. The league table reflects the importance of Europe to Britain’s mid-market exporters ahead of the Brexit negotiations. Almost 85% of the companies (167) sell to the continent, the most popular market, followed by North America (112) and Asia (75). In April, Microlise was also listed in the The Sunday Times BDO Profit Track 100 league table in 62nd place, ranking it as one of Britain’s private companies with the fastest-growing profits over three years. Microlise telematics, proof of delivery and journey management solutions help its customers reduce costs and the environmental impact of their fleet operations. This is achieved by maximising vehicle utilisation, increasing operational efficiency and improving economy and safety; whilst helping to deliver the very best customer experience by providing real-time visibility of the fleet against schedule. A privately owned business based in Nottingham in the UK, Microlise invests significantly in research and development annually to ensure its solutions continue to be underpinned by market-leading technology. Microlise helps its customers to save more than £175m each year in fuel costs and reduce CO2 emissions by hundreds of thousands of metric tonnes. This entry was posted in Business News and tagged International Track 2017, Microlise, sunday times on June 14, 2017 by Tim Cosgrove. NEW YORK and DUBLIN – August 1, 2016 – Verizon Communications Inc. (NYSE, Nasdaq: VZ) and Fleetmatics Group PLC (NYSE: FLTX) today announced they have entered into a definitive agreement under which Verizon will acquire Fleetmatics, a leading global provider of fleet and mobile workforce management solutions, for $60.00 per share in cash – representing a value of approximately $2.4 billion. “Fleetmatics is a market leader in North America — and increasingly internationally — and they’ve developed a wide-range of compelling SaaS-based products and solutions for small- and medium-sized businesses,” said Andrés Irlando, CEO of Verizon Telematics. “The powerful combination of products and services, software platforms, robust customer bases, domain expertise and experience, and talented and passionate teams among Fleetmatics, the recently-acquired Telogis, and Verizon Telematics will position the combined companies to become a leading provider of fleet and mobile workforce management solutions globally,” Irlando added. Jim Travers, Chairman and CEO of Fleetmatics. “Fleetmatics brings over 37,000 customers, approximately 737,000 subscribers, a broad portfolio of industry leading products, and a team of 1,200 professionals focused on solving the critical challenges of businesses that deploy mobile workforces. We are excited to partner with Verizon in fulfilling the mission of becoming the largest mobile workforce management company in the world,” Travers added. In June, Verizon Telematics also announced the acquisition of Telogis, Inc., a global, cloud-based mobile enterprise management software company based in Aliso Viejo, Calif. That transaction closed on July 29. With approximately 1,200 employees, Fleetmatics is headquartered in Dublin, Ireland, with North American headquarters in Waltham, Mass. The company’s Web-based solutions provide fleet operators with visibility into vehicle location, fuel usage, speed and mileage, and other insights into their mobile workforce, helping them to reduce operating costs, as well as increase revenue. Verizon Telematics, a subsidiary of Verizon Communications, operates in more than 40 markets worldwide and offers comprehensive wireless, software and hardware solutions to consumers, enterprises, automakers and dealers to power connected-vehicle products around the world. The acquisition is subject to customary regulatory approvals and closing conditions, including the approval of Fleetmatics’ shareholders and the sanction of the Irish scheme of arrangement by which Verizon will acquire Fleetmatics by the Irish High Court, and is expected to close in the fourth quarter of 2016. This entry was posted in Business News and tagged Fleetmatics, telematics, Verizon Communications, Verizon Telematics on August 1, 2016 by Tim Cosgrove. Verizon have announced it is set to acquire telematics company Telogis in a move meant to bolster its connected car business. According to Verizon, Telogis will bring a “world-class software program and new distribution relationships” to the carrier’s Telematics subsidiary. Verizon said the acquisition would help boost its suite of connected vehicle solutions and help drive revenue growth for the company. Verizon’s Telematics subsidiary currently offers a number of solutions for both consumers and enterprise, including Hum, a self-installed module that provides drivers with diagnostic information, roadside assistance and emergency assistance on demand. Founded in 2001, Telogis brings with it a platform for connected intelligence that integrates location technology with information and services. The company has offices in California, Europe, Australia and Latin America, with development centers in Texas, Toronto and New Zealand. Telogis’ products and services are used and distributed in more than 100 countries worldwide. Telogis also has partnerships with car manufacturers like Ford, General Motors and Volvo, as well as big-name tech companies like Apple. Telogis CEO David Cozzens said the deal will be mutually beneficial for the companies. The terms of the deal were not disclosed. The transaction is expected to close in the second half of this year. In the first quarter 2016, connected car additions accounted for 32 percent of net device additions for U.S. operators, surpassing phone net additions which accounted for 31 percent, Chetan Sharma Consulting found. According to the report, AT&T added more connected cars than all other operators combined. This entry was posted in Business News on June 29, 2016 by Tim Cosgrove. Leeds, UK, 5th April 2016 – Serial entrepreneur Martin Port has launched a second round of fundraising for his Leeds-based technology business. BigChange helps companies plan, manage, schedule and track mobile workforces and transport operations. The tech business’ JobWatch app-based system replaces paperwork and keeps offices seamlessly in sync with staff on the road. BigChange, which developed the technology and owns the intellectual property, achieved sales of £2m last year and is on course for £4m in 2016. It is expected to break even later this year. Mr Port is forecasting earnings of up to £4m and turnover of £20m by 2020. The company has built a base of more than 300 customers, including names such as HSS, Baxi Commercial, Ringway Jacobs (Transport for London), Serco, Morrison Utility Services and Elliott Hire as well as many SMEs. Subscriptions cost £49.95 a month. Impra-Gas, the plumbing company co-owned by Lord Sugar and Joseph Valente, winner of The Apprentice 2015, signed up earlier this year. Mr Port is planning to raise £2m via a sale of a 5% shareholding and bond issue, which are eligible under the tax-efficient Enterprise Investment Scheme. The Series A fundraising is based on a company valuation of £20m. Mr Port said the fundraising is attracting “a great deal of interest” and the company is in talks with a number of potential investors and financial institutions. The fundraising will allow BigChange to invest its technology and increase sales and marketing. Mr Port said the company is developing a “disruptive” new technology for the fleet insurance market to increase health and safety for drivers. He said he wants British businesses to be as well run as possible. BigChange is also developing a new app focused on collaboration between service providers, subcontractors and their customers. The company will have direct access to a market of 300,000 businesses through the new app. Mr Port is the founder of Masternaut in the UK and led the telematics business through a series of acquisitions. He was also named Ernst & Young’s Entrepreneur of the Year in 2008. In 2011, Mr Port merged Masternaut with a rival to create a £100m European market leader in a deal backed by Francisco Partners, a US private equity firm. Mr Port raised £1.1m in seed capital to launch BigChange in January 2014. Backers include Mark Adlestone, chairman of high street jeweller Beaverbrooks, Frederic Dupeyron, managing director of Aeroport De Paris International, and Martin Lee, former chief financial officer of Crown Eye Glass plc. This entry was posted in Business News, Telematics and tagged big change, big change apps, leeds, Martin Port, masternaut, minor planet, telematics on April 5, 2016 by Tim Cosgrove. The cameras are distributed across each of the 32 Greater London Boroughs as well as the City of London, and provide the eyes on the street for TfL, the Metropolitan Police, City of London Police, London Ambulance and media services such as the BBC and TfL’s “JamCam” service. incidents, bus lane and yellow box junction enforcement. The system also provides real-time information feeds to media channels and the travelling public. The contract awarded to telent has a term of up to seven years and will cover the services to provide a comprehensive maintenance service, the supplementary works required to replace obsolete or damaged units, and the deployment of temporary cameras to cover special events. This is another major new win for telent with TfL, following the award in June 2014 of a Traffic Control Equipment Maintenance and Service contract (TCMS2) for the West and South West of London. “We are absolutely delighted to have been awarded this contract. We already maintain over 15,000 CCTV cameras in the London area and our efficient London based delivery operation has enabled us to offer Transport for London a very high level of service at a competitive price,” commented Chris Metcalfe, Managing Director of telent’s Technology Solutions business. With annual revenues of over £300 million, telent has decades of experience in supplying a broad range of network and communications services. Today, the privately-held company employs approximately 1,500 people and has an engineering field force that covers the entire UK. The leading technology company’s operational breadth and scale makes telent a service delivery partner of choice for organisations with mission critical communications networks — in every industry sector. Customers include: BT, Virgin Media, Sky, Vodafone, Merseyside Fire & Rescue, Metropolitan Police, Highways Agency, Transport for London, Network Rail, Train Operators, London Ambulance Service, BAE Systems, EDF and Interoute. This entry was posted in Business News and tagged jamcam, london traffic control CCTV system, Telent, telent technology services, TfL, traffic managenent on March 31, 2016 by Tim Cosgrove.